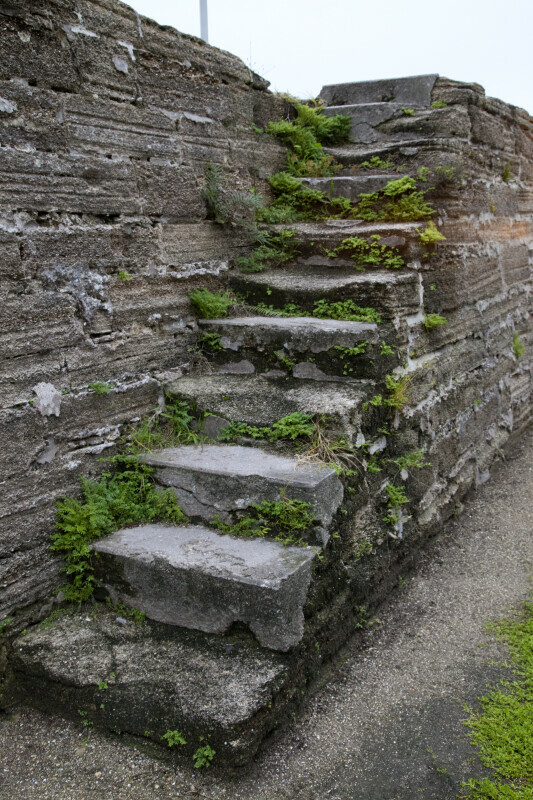 These stone stairs provided access to the moat. There are a large number of plants growing in the cracks between steps. The fort is a National Monument, and is listed on the National Register of Historic Places.